Why Join the Easter WorldMillions Fun? WorldMillions is one of our most popular products, with jackpots normally starting at €50 million. This month, we’re boosting this to an unbelievable €250 million jackpot for our Easter Sunday jackpot on the 21st April 2019. WorldMillions works a lot like the Spanish El Gordo Christmas lottery. Select any eight-digit number (e.g. 12345678) and if you match it – you win the jackpot! 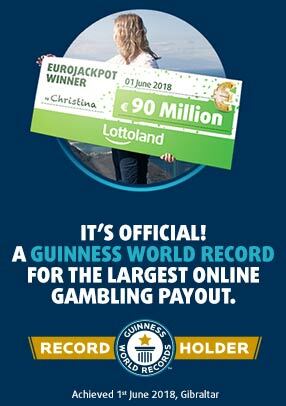 If you go for on a full bet (€10), you’re in with a chance with the full jackpot! But if you want to save on cost or spread your bets, you can get a 1/2 share (€5) and be in with a chance of winning half the jackpot, or a 1/10 share (just €1) and still be in a with a chance of winning €25 million. What’s more, you’ll never have to share a jackpot with World Millions. Only one full bet is available per number, so if you grab it, that number is yours and yours alone!